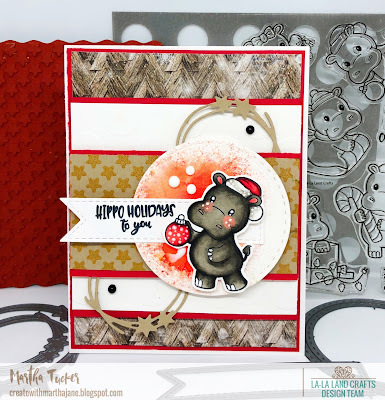 SugarPea Designs August New Release Previews Day Five! Its our final day of previews for the August New Release Previews at SugarPea Designs! This last day is Probably my Favourite! as soon as i saw it! I White Embossed it, and coloured it in with Prismacolor Pencils. This release will be available in the SugarPea Designs Store Today at 6pm EST! Make sure to visit the SugarPea Designs Blog and comment to WIN a Prize! Have you been enjoying the August New Release Previews at Sugar Pea Designs?! I have loved seeing all the Beautiful creations with this release! 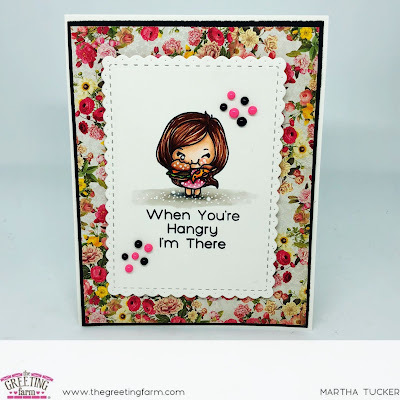 I just loved creating this card! 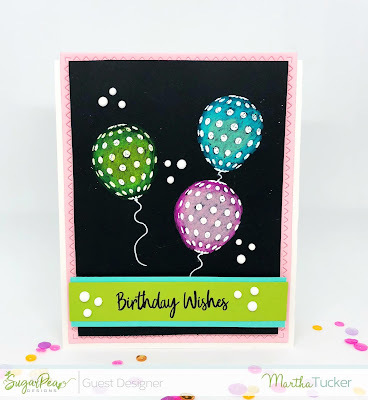 I stared by embossing the Balloons with White Embossing Powder, than I coloured them in with Prismacolor Pencils, I just love this Effect. This release will be available in the SugarPea Designs Store on Friday August 24th at 6pm EST! 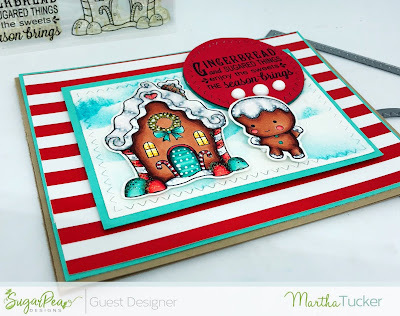 Make sure to visit the SugarPea Designs Blog everyday and comment to WIN a daily Prize! 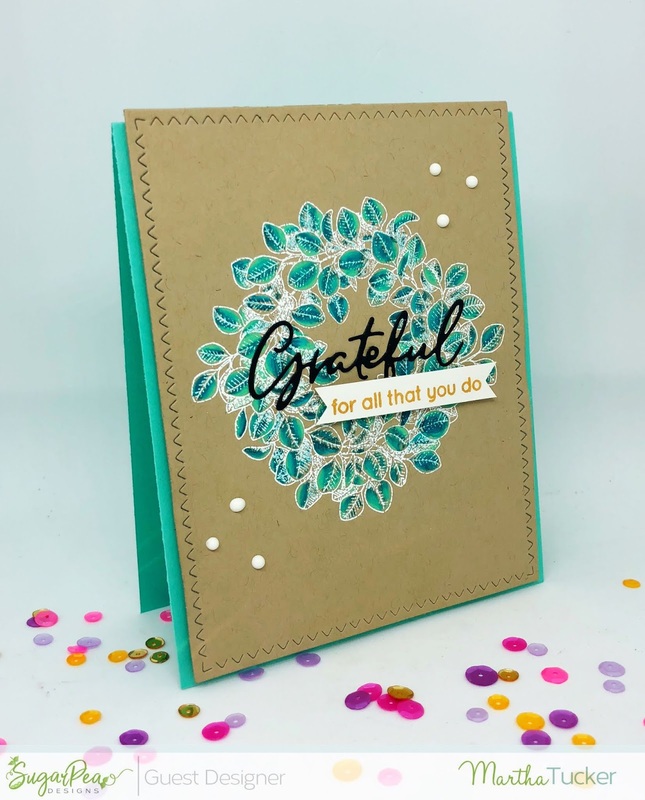 How are you liking the SugarPea Designs August New Release so far?? I absolutely LOVE this release! There is truly something for everyone in it!! How absolutely adorable are they?! Nuvo Drops to add some fun to the Cauldron!! 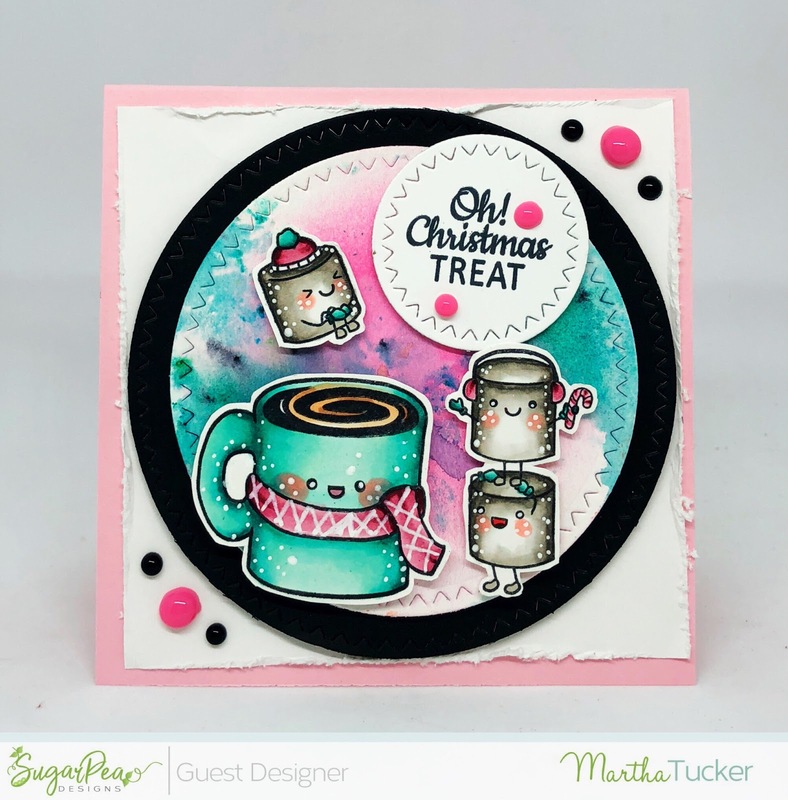 Welcome Back to Day Two of the Sugar Pea Designs! August New Release Previews! How Sweet is this Set? I just loved creating this CAS card! The simple edition of the Circle Die, and then creating a frame with two of the Circles Dies Really brings the card up a notch I think! 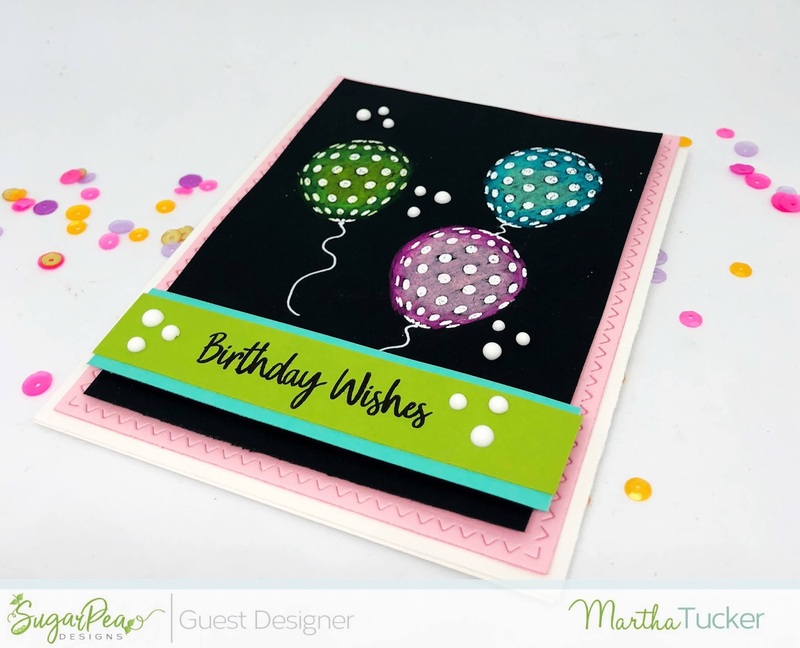 Welcome to Day One of the August New Release Previews at Sugar Pea Designs! I am just Over The Moon for this Set! 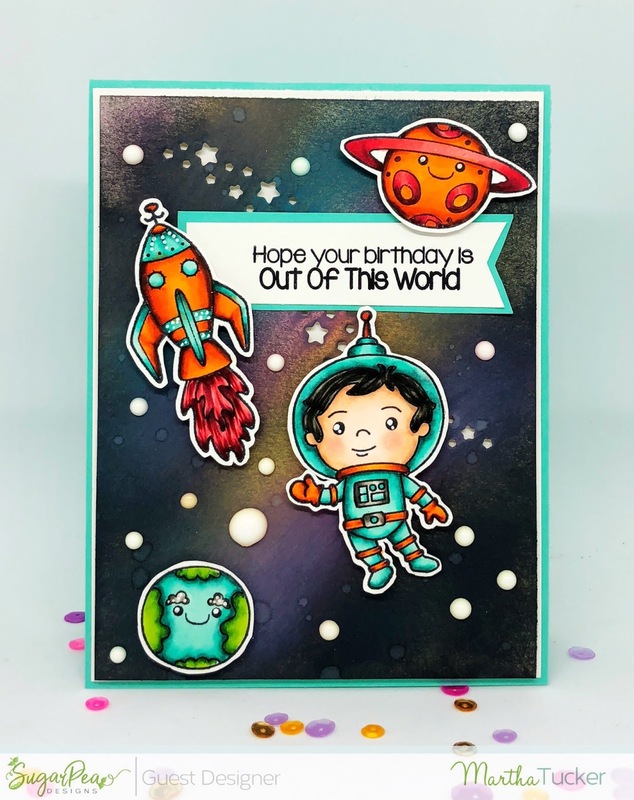 Its just so fantastic for all the space lovers in your life! I created the Galaxy Background using Distress Oxide Inks, and Nuvo Drops. Welcome Back to the Fourth and Final Day of the August New Release Previews at The Greeting Farm! 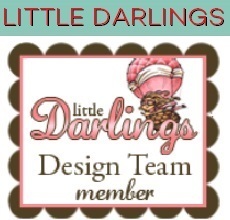 I am not a planner girl, but I LOVE these little Cuties! 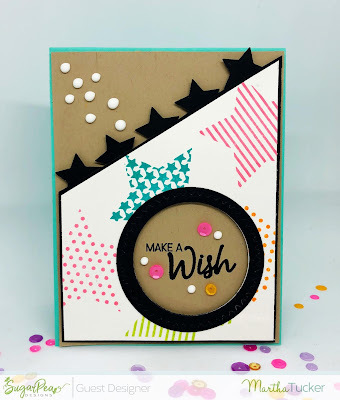 So quick and easy to create cards! Pop back tomorrow for our August New Release Blog Hop!! Im so happy to be back with you today! Im still on my Christmas Cards kick! 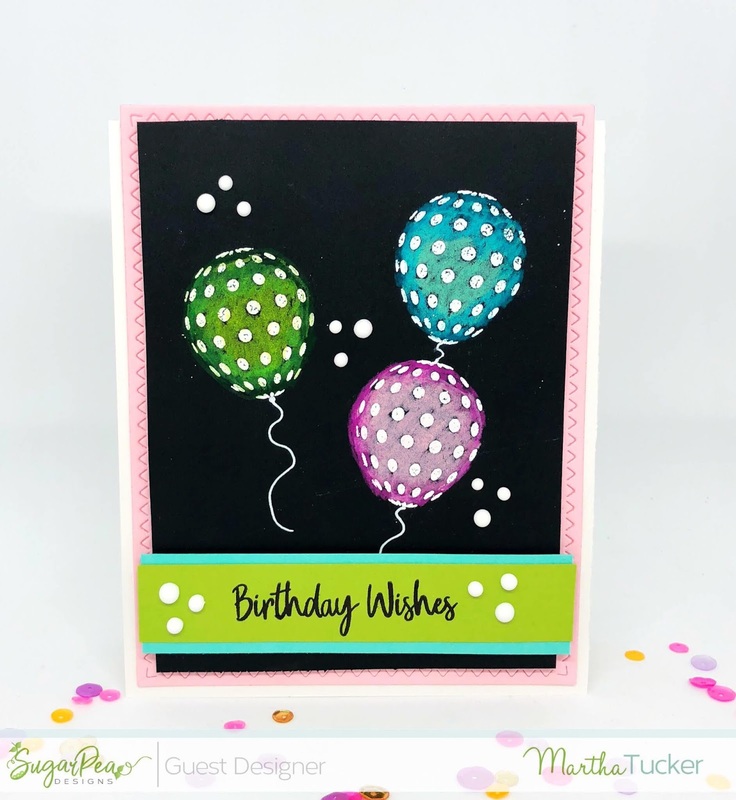 I created a simple Watercolour background for the card using Ken Oliver Colour Bursts in Turquoise and Distress Oxide Ink in Picked Raspberry. I Stamped the Cup, Marshmallows and Sentiment with Memento Tuxedo Black Ink, and Fussy Cut the images after I Coloured them up with my Copic Markers. After assembling everything on the card I finished the card with Nuvo Drops. 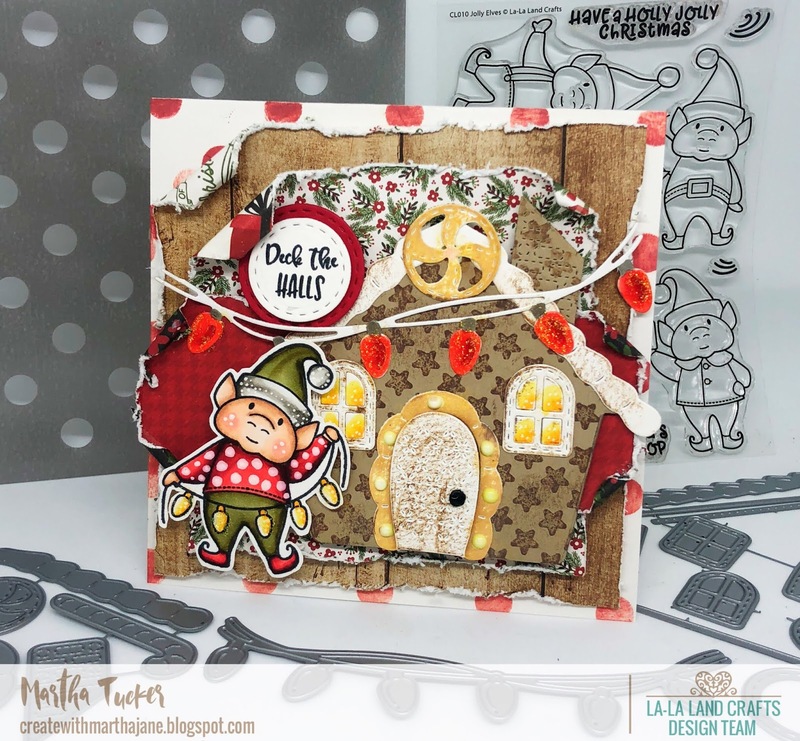 I hope you are enjoying my little Christmas series! And so perfect for all the Foodies in your life!! These are all separate stamps, I used my Stamp Positioning Tool to make it all look like one piece. 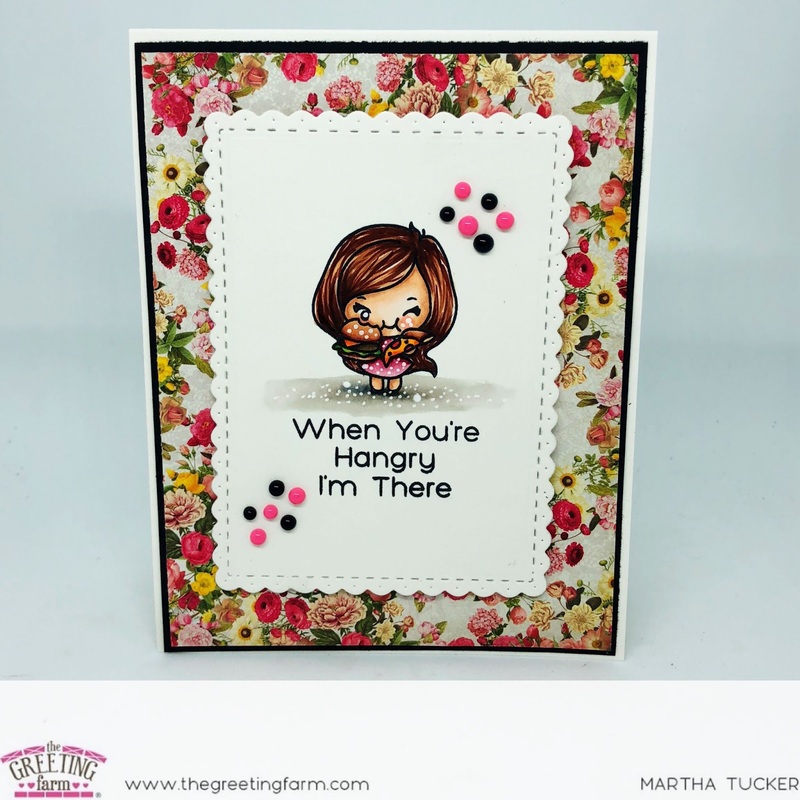 Welcome to Day Two of The Greeting Farm August New Release Previews! Here is my card with it. Can you even with the Cuteness?! This set is perfect for all types of projects! The Greeting Farm August New Release Preview Day One! 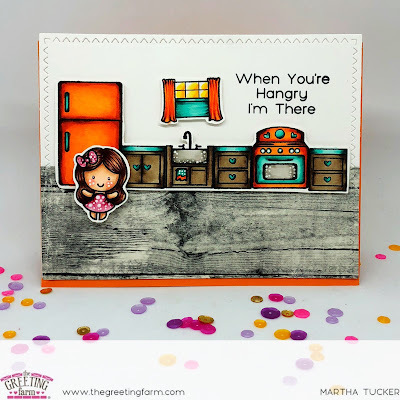 Its Time for the August New Release Previews at The Greeting Farm! How Flipping Cute is that?! Im OBSESSED with this set! I hope you've enjoyed all the August New Release goodness! Pop Back tomorrow for more August New Release Fun! !